The Commission Machine is a program containing a set of affiliate methods that can help a newbie to become a pro affiliate marketer. The program can help a marketer earn big income monthly by making hundreds of sales. This program was launched again on 2018 on JVZoo affiliate program. You will learn various email marketing techniques to use in order to make more money from your list. The training comes in form of videos which are divided into several modules. Who is the creator of The Commission Machine? The brain behind this great affiliate training program is Michael Cheney. 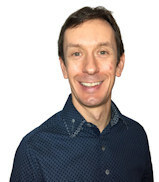 He is a renowned affiliate marketer from U.K who has worked in the industry for more than 2 decades. This has equipped him with experience and skills to know all that it entails in becoming successful in affiliating marketing. He has put a lot of effort to ensure other affiliate marketers become successful like him. Michael’s desire to see others successful has seen him create several effective training programs. They include Commission Cartel, 7 Figure Franchise, Commission Black Ops, among others. He also runs a blog where he gives valuable tips on how to become successful in affiliate marketing. This part contains a video with three upsells of Michael’s creations. He will explain to you how they can benefit and why you should consider buying them. You can skip the upsells if all you are interested in is The Commission Machine. This is a 3:11 minutes video that introduces Michael’s patented process, the “R.A.P.I.D.” It stands for Research, Angle, Provide Incentive, and Deploy. He will explain what it means and how it works. Then he will give you an overview of what you expect to learn by the time you are done with the training. In this 28: 11-minute video, Michael will take you through the process of choosing the best affiliate products. This is the place that many people fail and they end up choosing a niche that is dormant and ends up giving up in affiliate marketing. Michael will teach you how to find the highly profitable products with his recommendation being internet marketing niche. He says there are many people out there looking for ways to earn online which makes this niche extremely active. You will also learn how to start selling a product for you to gain a high commission and you will learn where to source the products. You will only get a client to buy your product if you can grab his/her attention in the first place. How do you do that? Well, Michael will teach you that in this 24: 10-minute video where he teaches you how to be unique for you to stand out from the rest. This will get you noticed by prospective buyers which can give you more sales hence more income. Michael gives some great strategies that can trigger people to make a purchase through your link in this 23:24 video. He will teach you how to add bonuses which can boost your income. He will link you to some tools Countdown to help you create bonuses. If you manage to get this module right, you will be smiling to the bank soon. The way you deliver your message determines the reaction of the prospective buyers. You have to choose your words carefully and how you put them. No matter how good a product is, if the right message has not been used to advertise the product, it will not be bought. In this 46:53 video, Michael has some excellent strategies on how to put a message to get the people reading it. After going the program it’s time to put what you have learned into practice. In this 28:43, Michael will take you through what you have learned just for refreshment. You will be taught how to go about the whole thing in terms of frequency and sequence to get the best out of your affiliate marketing. You will get an autoresponder from GetResponder (free trial) and a paid tool for creating landing pages. So, if you don’t have an email list what do you do? Michael will guide you in this 13:38 video on how to create commissions without an email list. He will take you through on how to use Facebook without posting links. Although this may work for you, it may limit your earnings since this method may limit your sales to friends and family on Facebook. This is an 11: 08-minute video where Michael takes you through a case study he did. He will guide you in everything he did in promoting the product in the case study. You will also learn more strategies to increase your sales through adding bonuses and sending follow up messages at the appropriate time. Generally, this is a bonus module that is meant to boost your affiliate income. The Commission Machine newbies who want to venture into affiliate marketing. It is also a good choice for marketers who want to learn some new strategies to help them increase their sales and income. 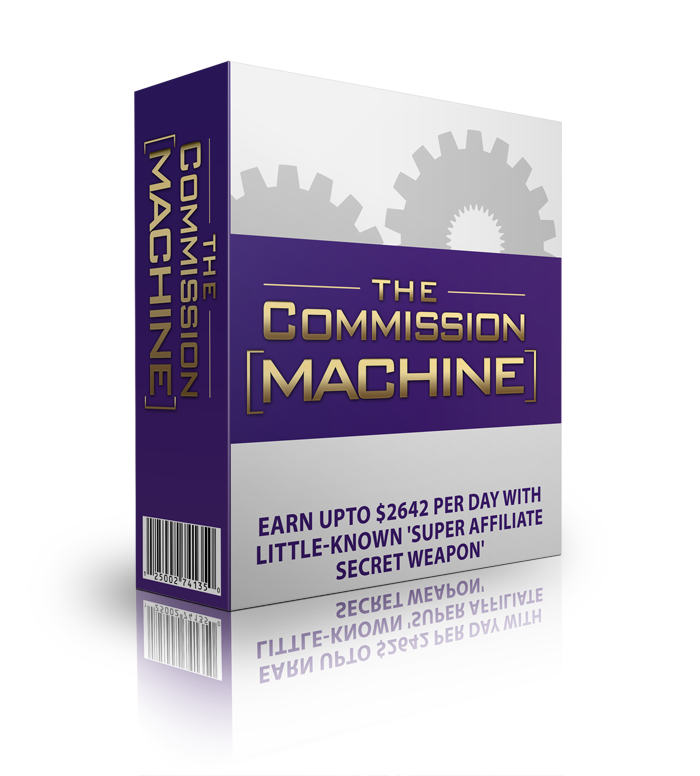 Overall, The Commission Machine is a great program that can help you gain success in affiliate marketing. You could be the next millionaire when you follow and implement the strategies laid out in the training. The best part is this program comes with a 30-days money guarantee which means if it doesn’t work for you, you will have lost nothing. However, if it works, well it will be only a matter of time before you lose count of the amount of cash in your bank account. So, why not try it now?